Learn about current Bay issues and how you can help protect this natural treasure with Save The Bay. Narrated by Robert Redford, this lively and timely series is about one of America's greatest natural resources - San Francisco Bay. Shot in high definition, it consists of four episodes focusing on the geological, cultural, and developmental history of San Francisco Bay and the larger northern California watershed, from the Sierra Nevada mountains to the Farallon Islands in the Pacific Ocean. From the Gold Rush to the Golden Gate Bridge, and through World's Fairs and World Wars, San Francisco Bay has been central to the identity of one of the world's leading economic, academic, recreational, and cultural regions. 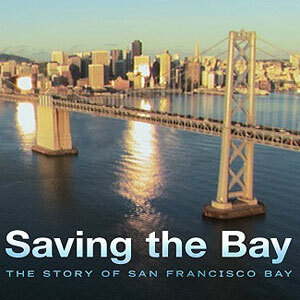 This series explores its evolution, how we almost lost and then saved the Bay, and how we are planning for the future, including wetland restoration, increased public access, and balancing the often competing needs of a fragile ecosystem that is the centerpiece of a major urban area.